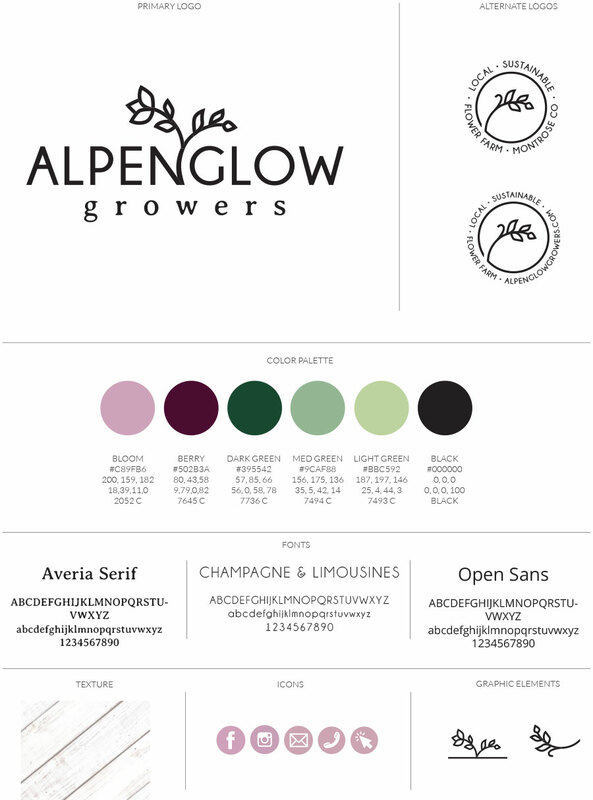 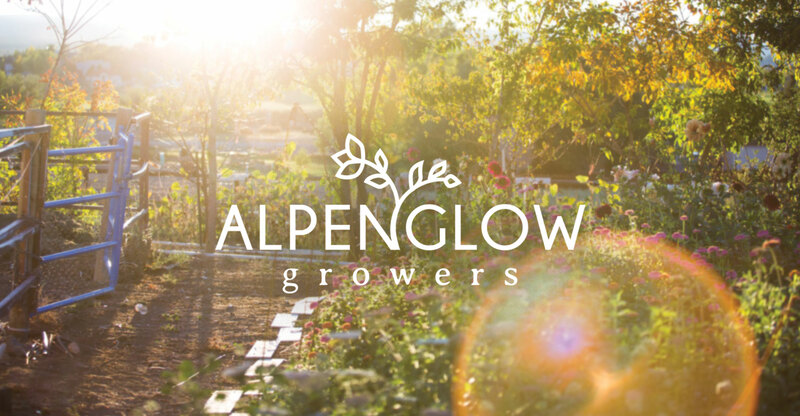 Alpenglow Growers was created because there was a need for fresh, locally grown flowers on the Western Slope of Colorado as well as an outlet to share a passion of sustainable and organic gardening. 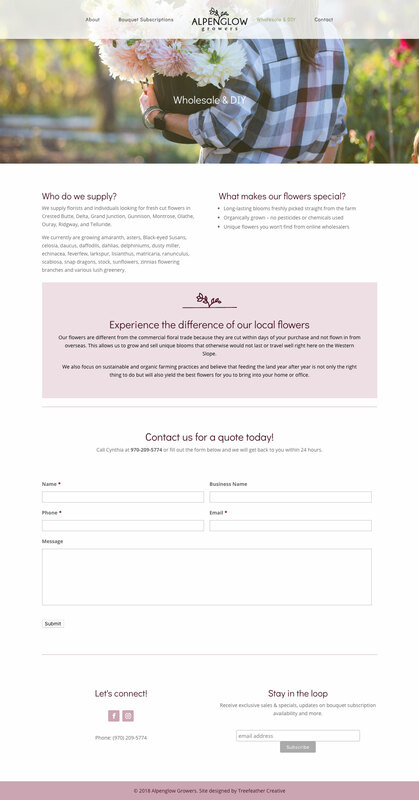 Objective: To provide an easy and personal experience for people to get quality, unique, organically grown local flowers for their office, store, or special occation. 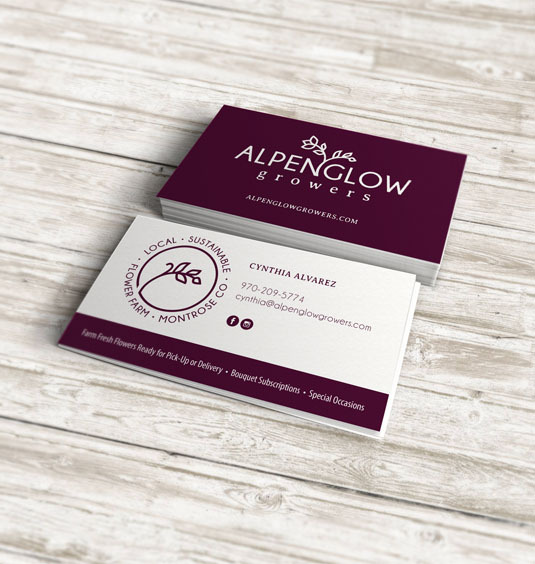 Create a clean, sophisticated yet organic/earthy identity with a focus on colorful photography and touches of rustic textures. 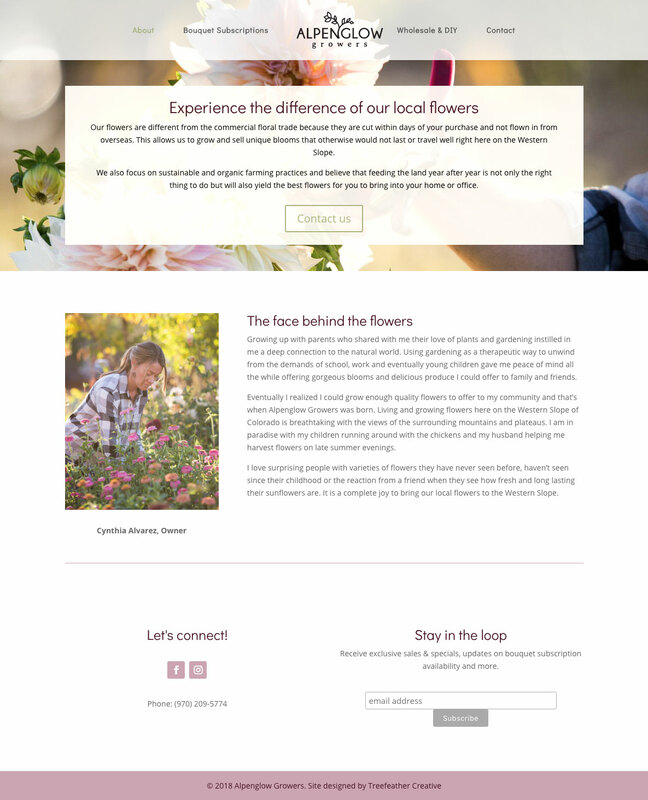 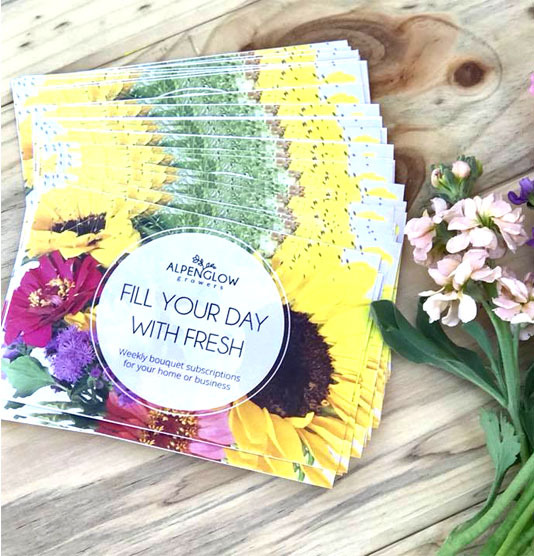 Develop a responsive, user friendly website where customers can easily sign up for a bouquet subscription as well as learn about the flower farm and wholesale opportunities.